That’s us done for the year then. 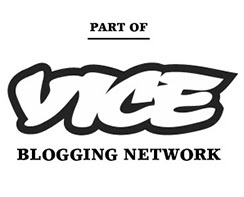 No more posts until 2014. Except, of course, for the electronic rumors Awards 2013!!! They’ll be making an appearance nearer the end of the year, but you should probably start getting excited right now! 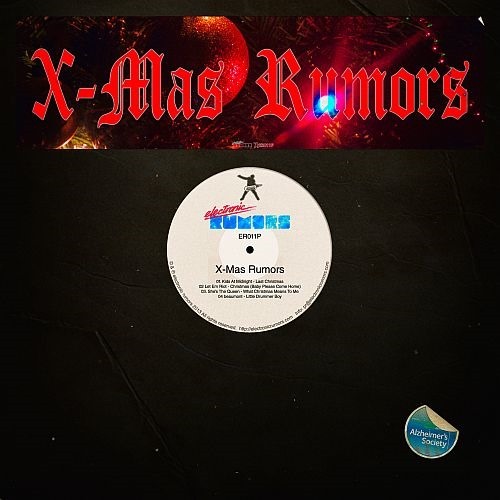 Let me just take this opportunity to again big-up the electronic rumors X-Mas EP, X-Mas Rumors. If you haven’t already you should definitely pick up a copy, we’re raising mad bucks for the Alzheimer’s Society and giving you some X-Mas synthy goodness in the process. So, from us here to you, have an awesome X-Mas! And we’ll see you when we’re all fat and hungover. That’ll be us done for the year then. There is booze to be drunk, presents to be given, friends to be seen and turkey to be eaten. No time for waffling on about music for a while. We’ll be back on the 28th December, at around 4pm GMT, for The electronic rumors Awards 2012, time to start getting excited right now! The very best music of the year, all in one place. It’s bound to be a star-studded affair, and remember to keep it locked to our Google+ page for pre-awards warm-up nonsense. So, we hope you all have an awesome X-Mas, full of good friends, good times and a good deal of consumption and maybe some good tunes too. 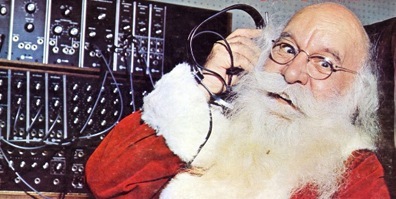 On Christmas Day is La SynthPop outfit Father Tiger’s contribution to the X-Mas cheer. 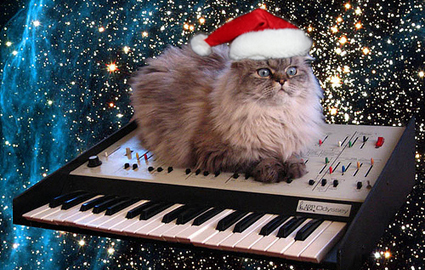 It’s a wonderfully upbeat slice of electronic melancholy, which all the best X-mas tunes are. There’s a nice video too which, for a free single, looks a hell of a lot better than some videos from major artists. You can download Father Tiger’s On Christmas Day for free here. Right, that’s us done for a few days, time to get stuffed full of turkey. We’ll be back in-between X-Mas and New year with our Top 20’s (which, if we’re feeling fancy may be re-branded ‘The electronic rumors Awards’! LOL). Hope you all have an awesome X-Mas full of eating and drinking and dancing and loving. We’ll see you when we’re all too fat to move! It’s HURTS and all their friends, playing in the snow! Too soon Lola Dutronic!, too soon! This’ll probably be the last post on electronic rumors before the new year, between now and then we’ll be working hard on our ‘best of 2009’ post. We’d like to take this opportunity to thank all our readers, especially those who stuck with us during our down time, to thank all those of you who email us to let us know what you like and don’t like, to thank all our regulars for helping to make us one of the biggest ElectroPop/Electro-House/Indie-Electro/SynthPop oriented blogs on the internet today and especially to thank all the bands without who we wouldn’t have anything to obsess over! We hope you all have the greatest X-Mas ever! 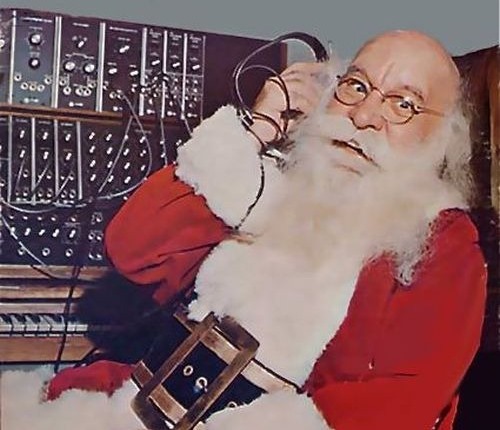 As a gift to you we’ve put together 20 of the best electronic X-Mas songs, there’s some stuff we had to leave out but these are some of our favs. So enjoy the music, eat, drink and be merry and we’ll see you in a week or so. Right, that’s your lot! I’m off to watch Gremlins followed by Die Hard! 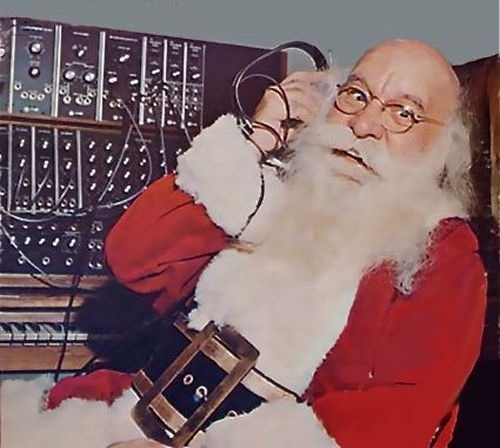 It is X-Mas after all!I hope you all have a fantastic X-Mas and keep checking electronic rumors for our round up of 2009!